This book is the first in a new series devoted to German armored formations of World War II. Packed with full color images and a large amount of previously unpublished material, it is custom designed to appeal to modelers, AFV enthusiasts, and readers interested in Second World War technical history. 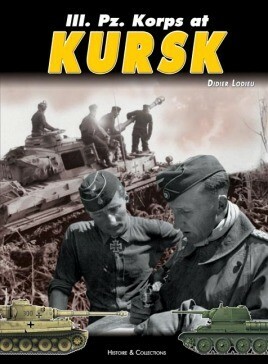 The book traces the battle of Kursk and the involvement of the German Panzer Units, through first hand records. Many hitherto unpublished photos, plus recently discovered memoirs from veterans combined with color profiles of AFVs, contribute to make this book a real reference bible for the enthusiast. Didier Lodieu is a dedicated specialist on the German Army of World War II. In more than thirty years of research. he has learned how to find the most interesting photos and historical sources.